Mastering Primary Music introduces the primary music curriculum and helps trainees and teachers learn how to plan and teach inspiring lessons that make music learning irresistible. This guide includes examples of children's work, case studies, readings to reflect upon and reflective questions that all help to exemplify what is considered to be best and most innovative practice. 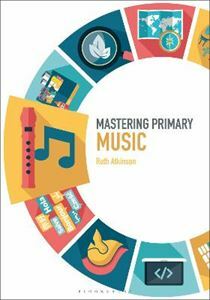 The book draws on the experience of a leading professional in primary music, Ruth Atkinson, to provide the essential guide to teaching music for all trainee primary teachers.